AGA Carvery Launch with Boycie & AGA CEO, William McGrath & Owner Adam Giles. Bridgnorth Journal. 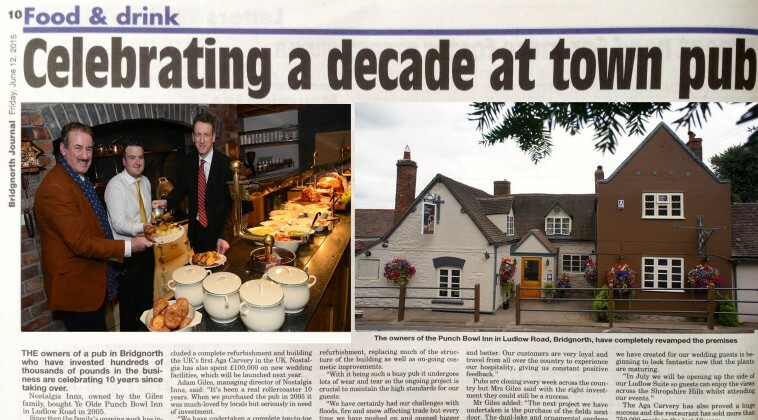 This month sees the 10th anniversary year since Nostalgia Inns, owned by the Giles family, purchased Ye Olde Punch Bowl Inn. 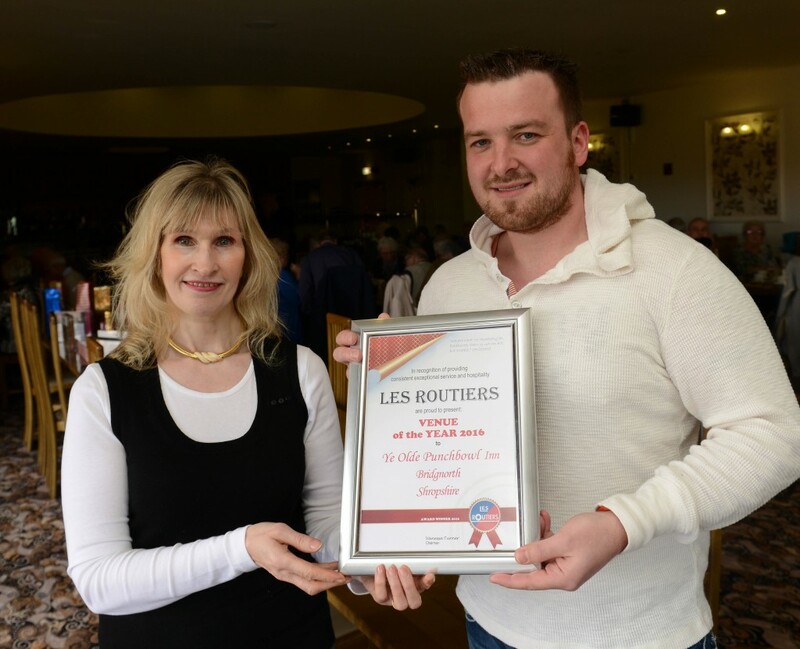 Anniversary AGA Carvery Offer – To celebrate the anniversary and the new Summer menus, diners are also rewarded by being invited to enjoy an award winning 3 course AGA carvery meal midweek evenings during June for just £10. 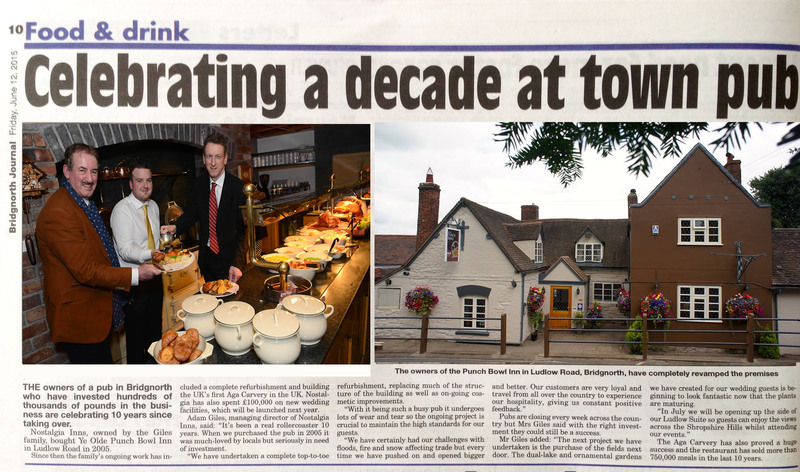 ‘we have sold over 750,000 meals to happy customers since we opened in 2005, so we thought we would celebrate by giving something back and are offering a special limited deal of 3 courses for £10 to our regulars and their guests throughout June, and we will reward them with an AGA meal for a party of 10 at one of our Monthly tribute nights!! Article featured in the Express and Star June 2015. 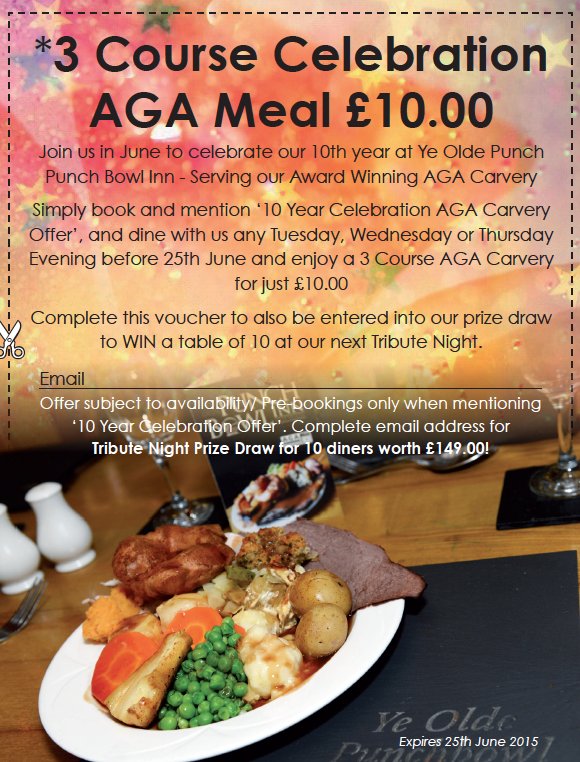 Download and print the below to enjoy your 3 course AGA Carvery meal in June! See terms.